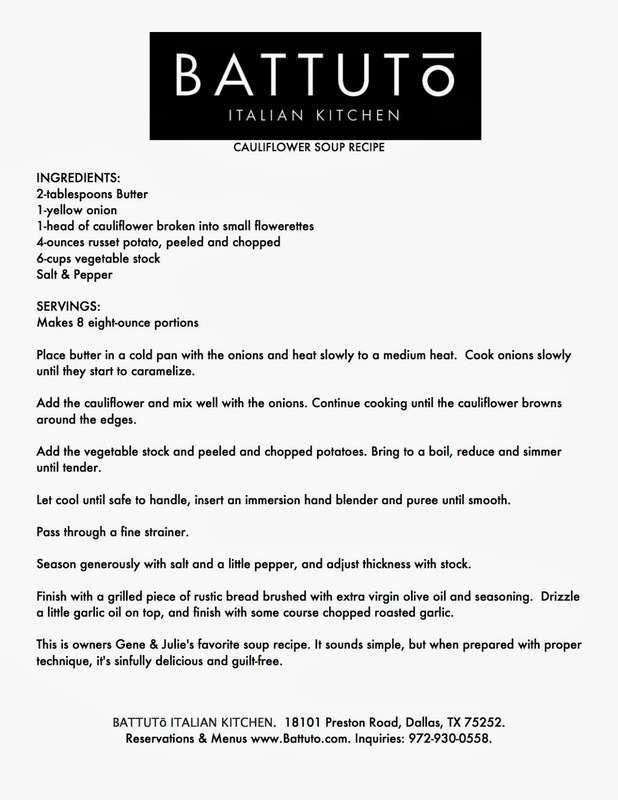 Gene and Julie Gates of Battuto Italian Kitchen are offering diners at their restaurant free refills of their delicious Cauliflower Soup all month long in celebration of National Soup Month. Can't make it over there in the next couple of weeks? No worries! They are also sharing the recipe for those who wish to make it at home. They claim "their cauliflower with roasted garlic soup is simply delicious AND guilt-free with less than 110 calories per serving so it's perfect for all those New Years resolutions to eat healthy and lose weight!"